If you’re making a movie about a man this loved, you best not miss. I feel that this was on the minds of everyone involved in this masterpiece. 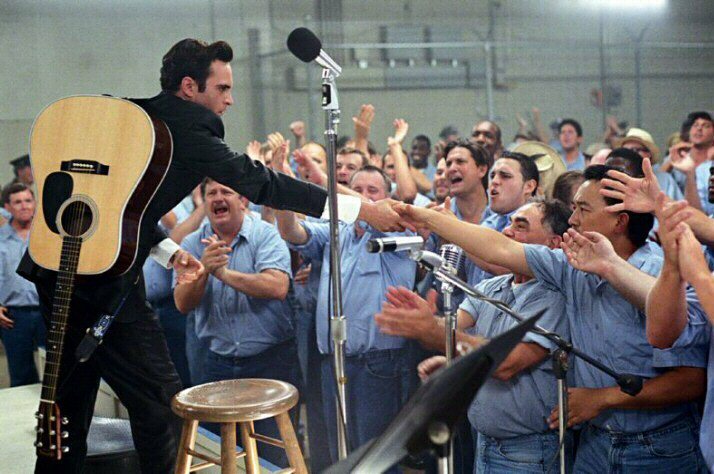 Walk the Line is a movie about one of the greatest singers who ever lived, Mr. Johnny Cash. It’s based on two autobiographies authored by the man himself: Man in Black: His Own Story in His Own Words and Cash: The Autobiography. 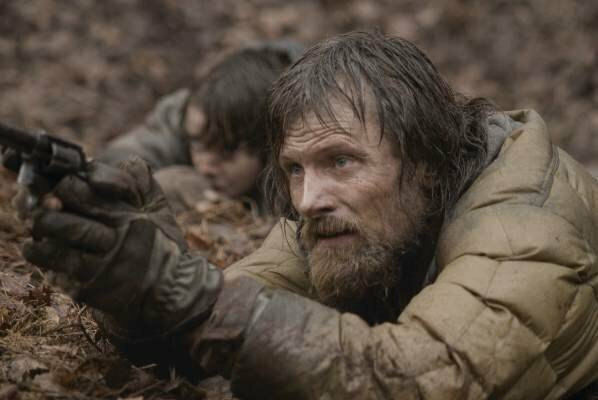 Directed by James Mangold, who you might know as the guy behind Cop Land, Identity and 3:10 to Yuma, and with a running time of 2 hours and 16 minutes, you might think that this movie would have some pacing issues, but that is not the case. Since the whole movie is based on books that Johnny wrote, you get this special and honest insight into his life and you start realizing that his story is the story of humanity and all of us. 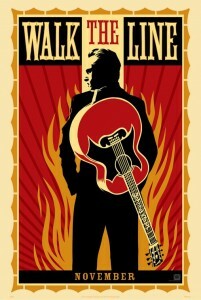 Smooth and tight, Walk the Line is a very serious and entertaining homage to Mr. Cash. Compared to other biopics that were released in recent years, this is definitely one of the best. We follow J. R. Cash from his childhood in Kingsland, Arkansas, through his first efforts to prove that he’s a talented singer to finally his glory days. I don’t want to spoil anything, so just check out the movie and enjoy. Fun Stuff: Joaquin Phoenix and Reese Witherspoon performed all of the songs themselves, without being dubbed. They also learned to play their instruments (guitar and auto-harp, respectively) from scratch. The scene where Johnny Cash pulls the sink off the wall was not scripted. Joaquin Phoenix actually pulled it off the wall.